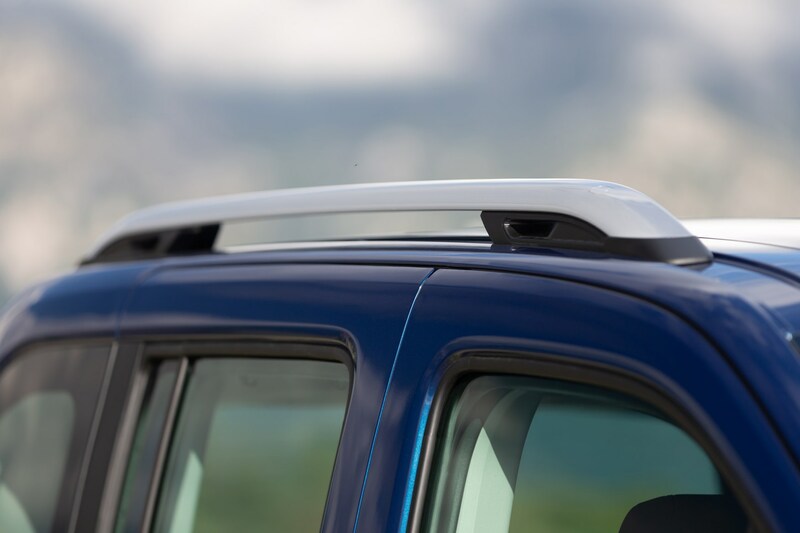 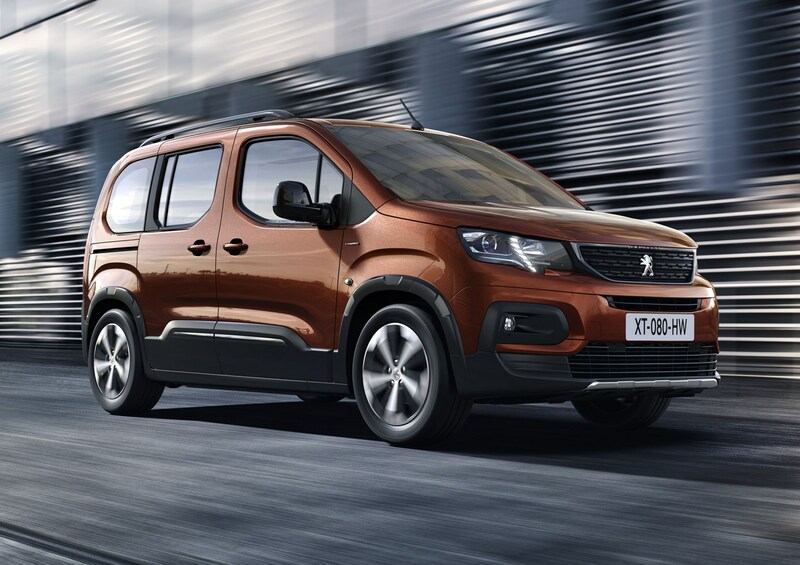 The Peugeot Rifter is the French company’s alternative to the Citroen Berlingo Multispace and Vauxhall Combo Life, aiming to appeal to buyers who are falling out of love with traditional MPVs and swarming to SUVs. 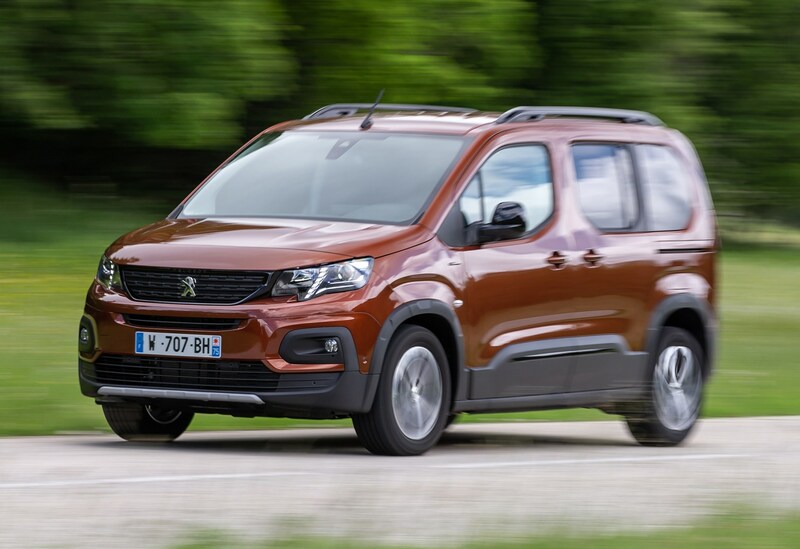 It’s planning to do this with the van-based Rifter, which has a more crossover-style to it than its Vauxhall and Citroen counterparts. 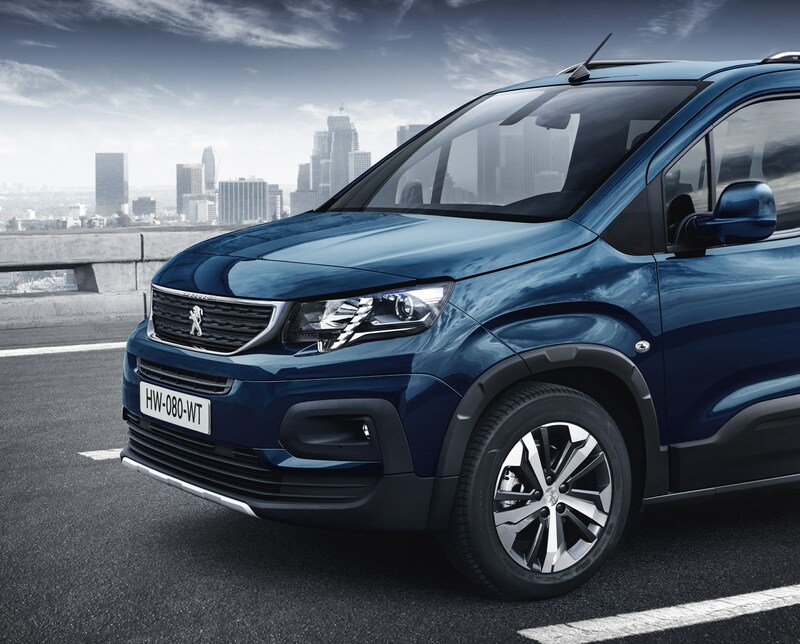 It’s available with a range of familiar PSA engines under the bonnet, and a choice of Standard or Long bodies, with room for seven passengers in both. 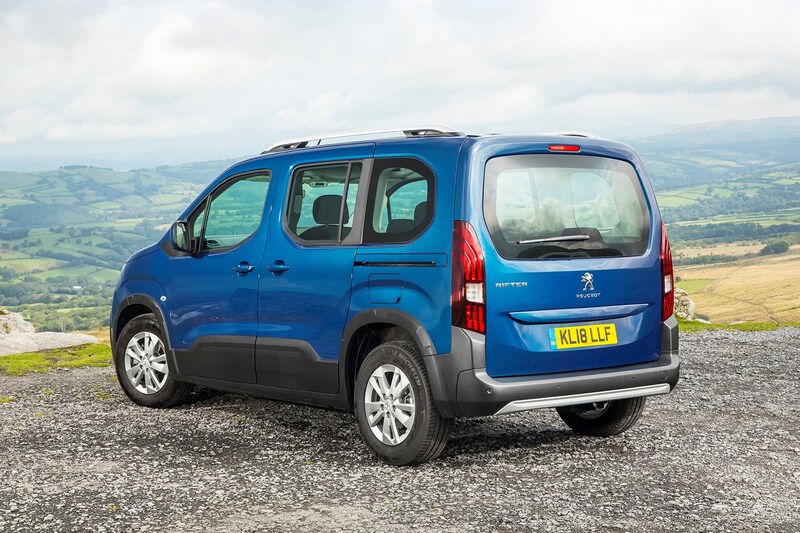 The Rifter is all about versatility and practicality, then, but does it do the job? 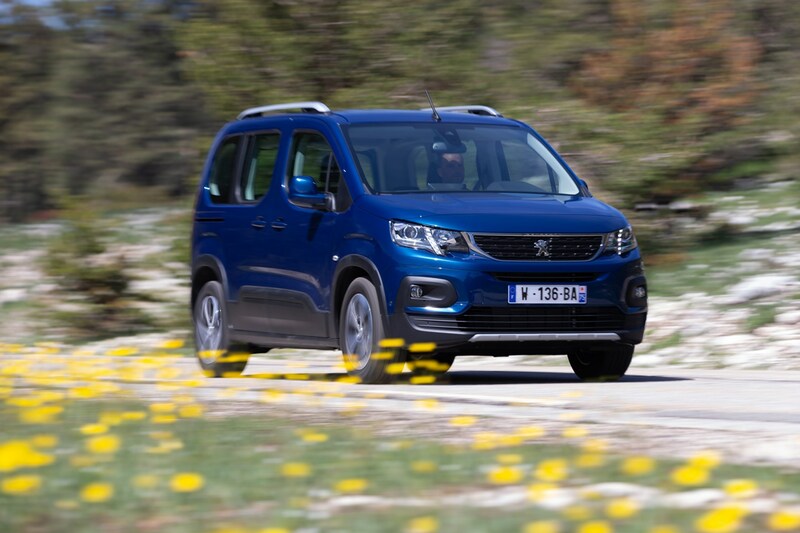 And will it tempt buyers out of the likes of the Peugeot 5008 and Skoda Kodiaq? 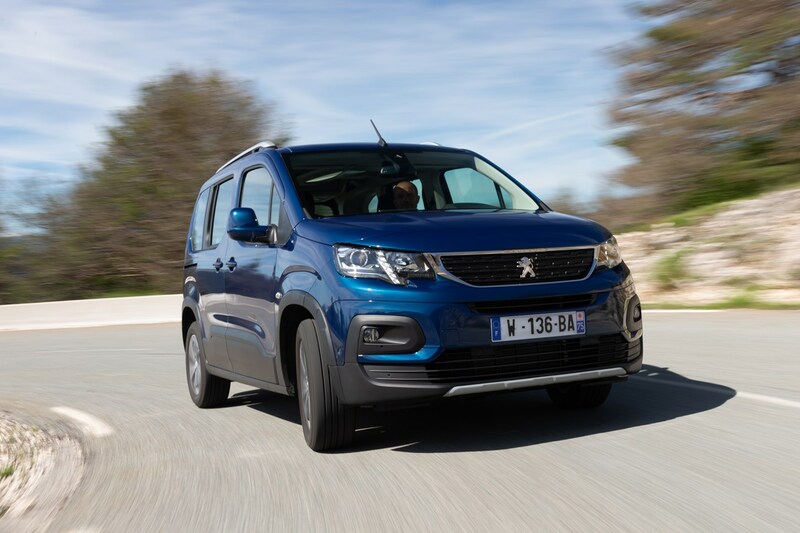 You might think the Rifter is having a bit of an identity crisis due to its van roots, MPV practicality and crossover/SUV styling cues, but according to Peugeot, that’s a winning recipe. 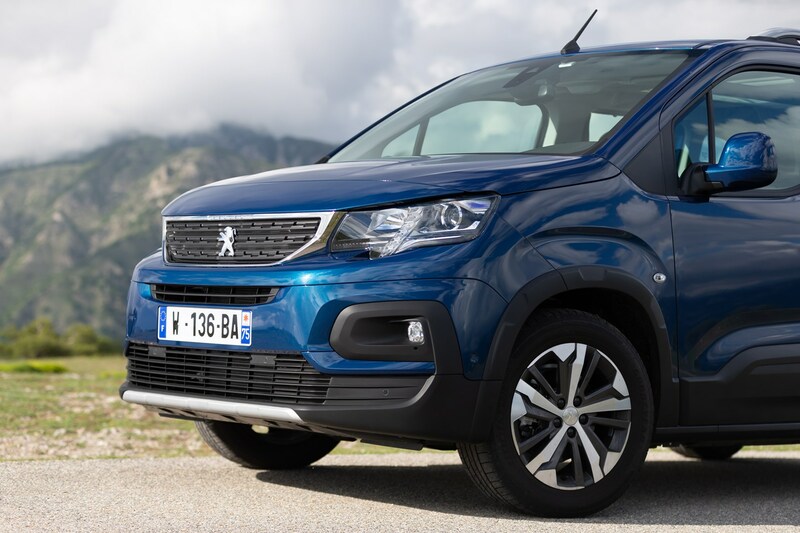 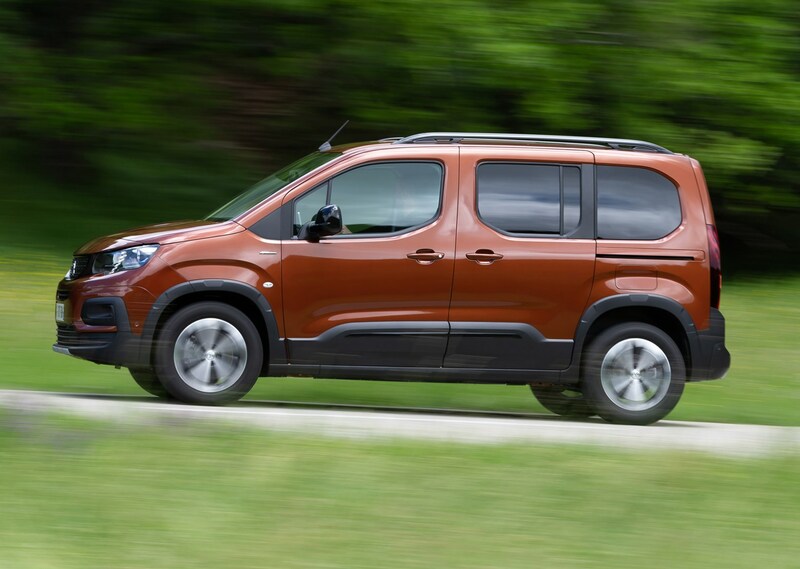 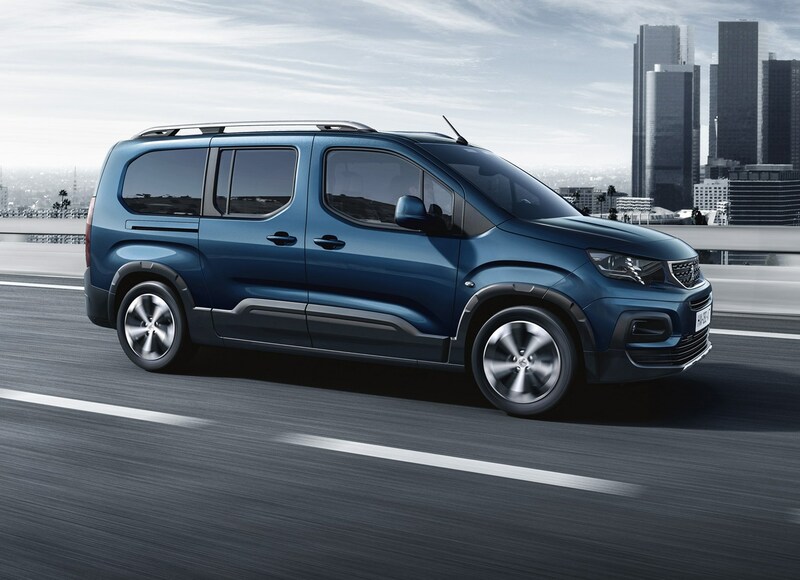 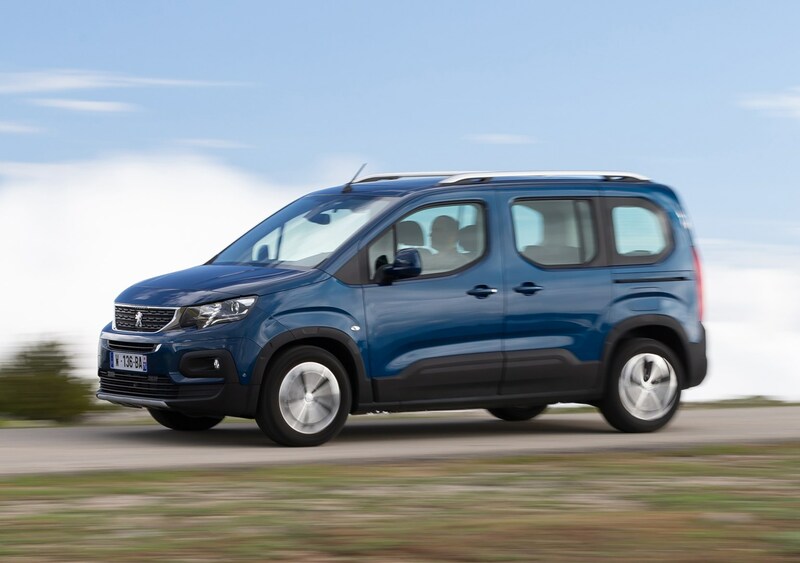 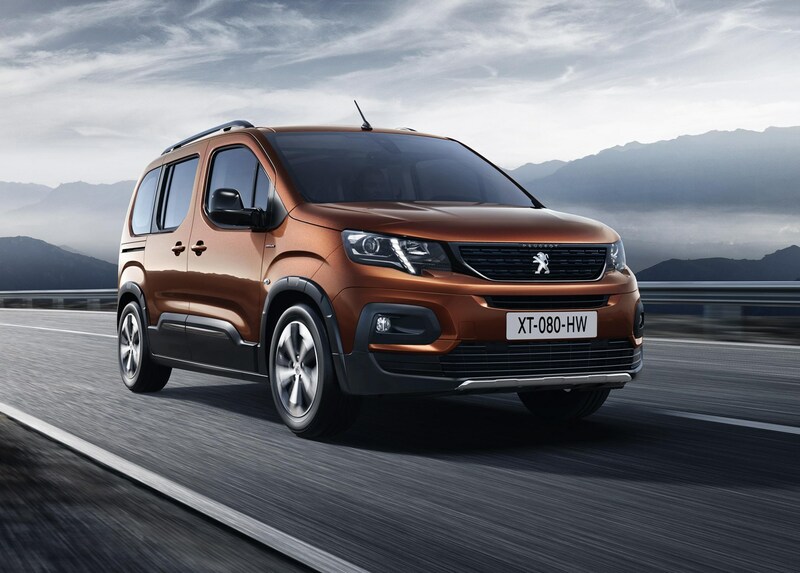 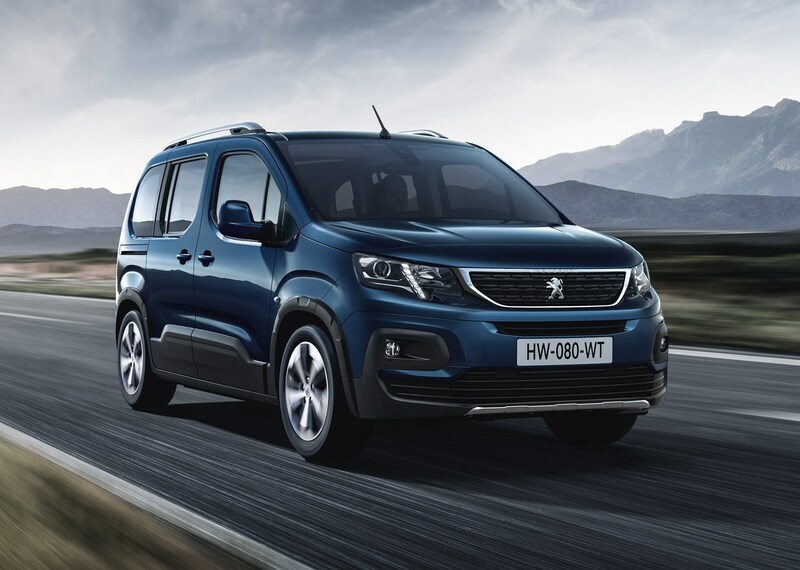 Peugeot has differentiated the Rifter from its stablemates with a higher ride height and more rugged styling, aiming to appeal to those who might also be considering an SUV. 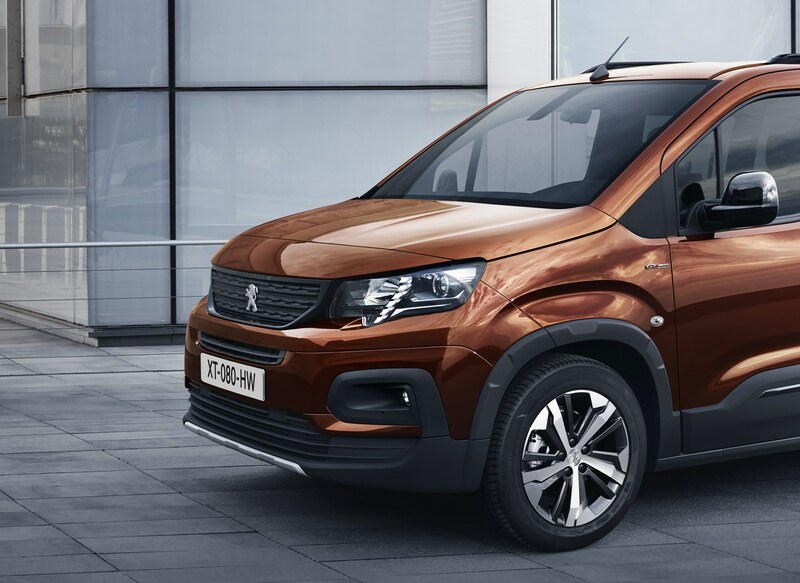 There’s no escaping the fact it’s a van at its heart, but Peugeot has added some nice touches to the RIfter to ensure it still feels like a car. 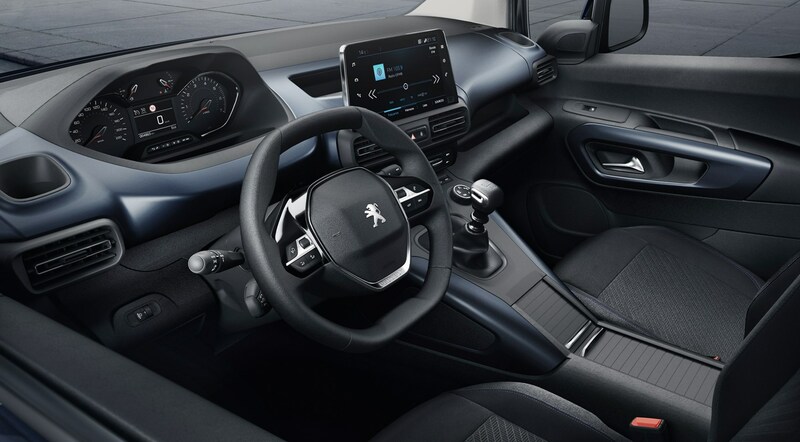 Neat LED daytime-running lights, Peugeot’s latest slimline grille and its i-Cockpit interior (small steering wheel and high-set dials) make it that little but more interesting. 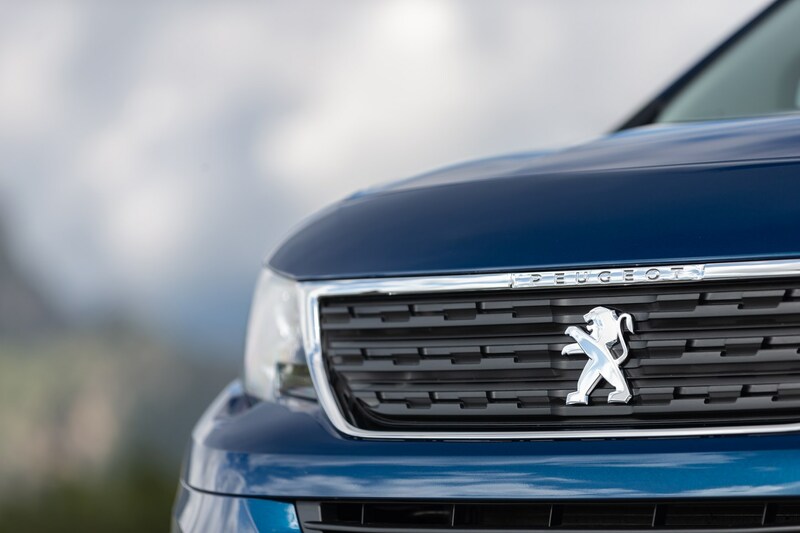 Whether it’s as interesting as Citroen’s quirkier offering will come down to personal taste. 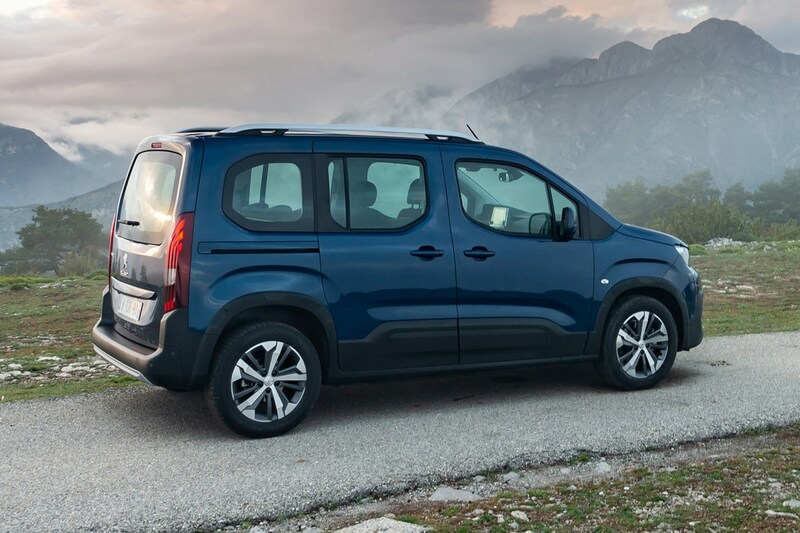 Despite manufacturers pushing petrol of late, it’s surprising to learn the Rifter’s engine range is dominated by diesel. 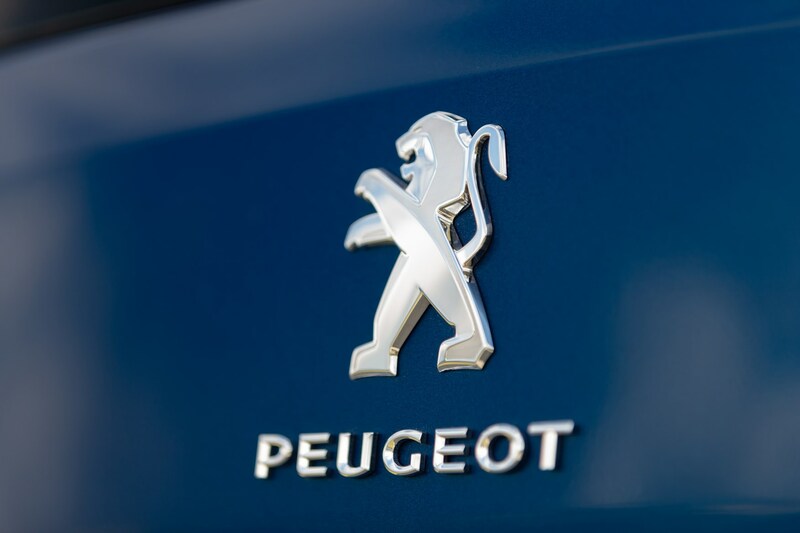 It’s what customers are after in this kind of car, so Peugeot is providing. 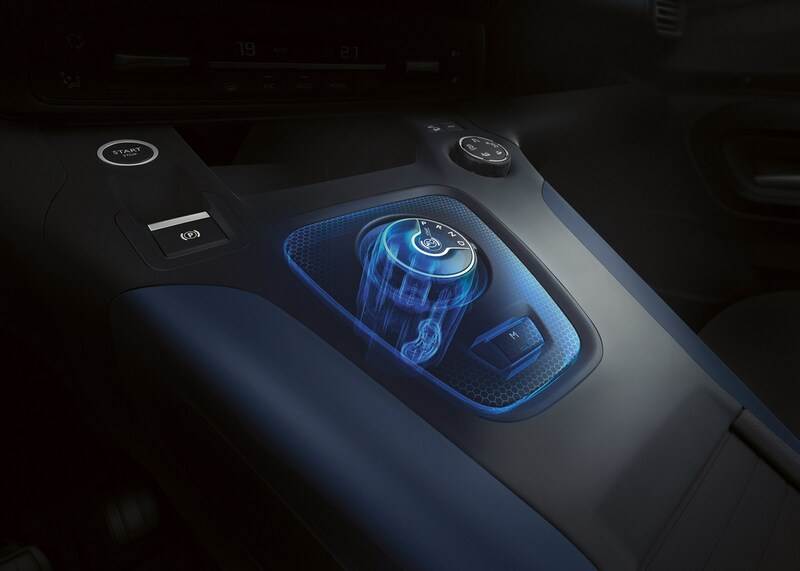 All diesels are 1.5-litre BlueHDi units, available in 75hp, 100hp and 130hp outputs. 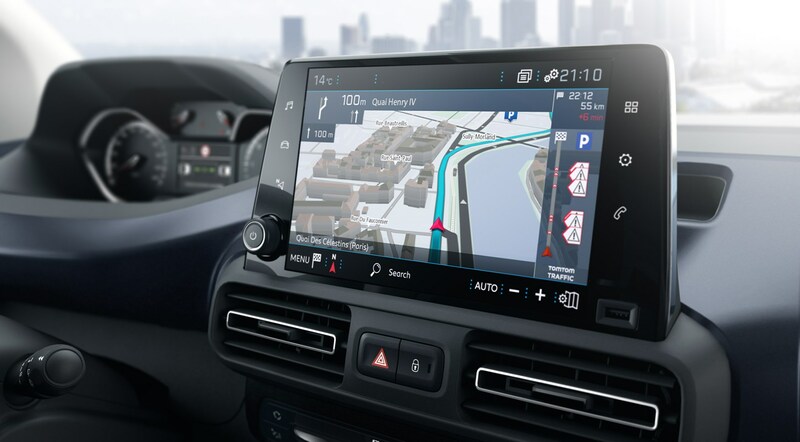 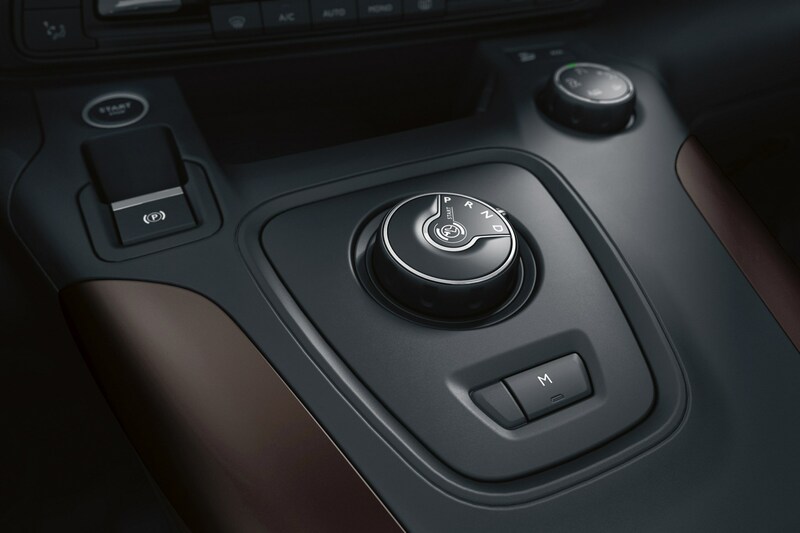 Higher-powered BlueHDi 130 models come with a choice of six-speed manual or EAT8 eight-speed automatic gearboxes, while the 100hp model is five-speed manual only. 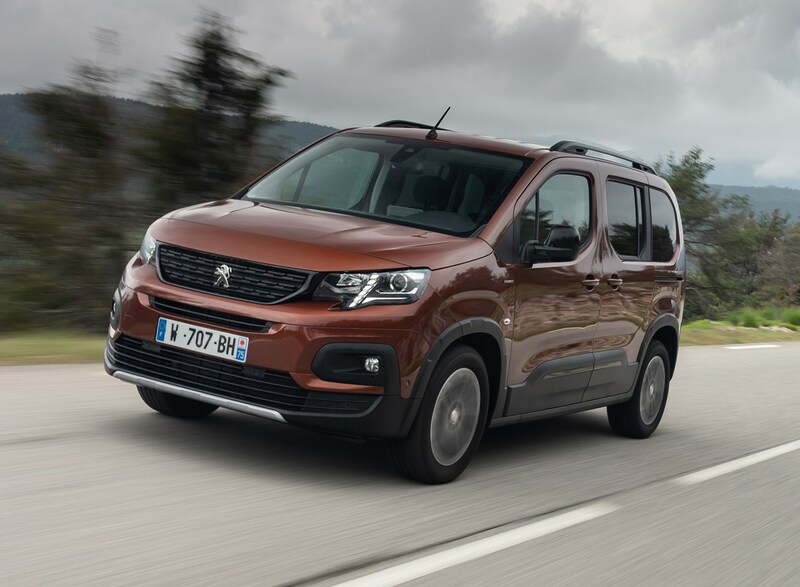 If you want a petrol Rifter, there’s a 110hp PureTech 110 available with a six-speed manual gearbox, while the PureTech 130 (yes, with 130hp) joins the range early in 2019. 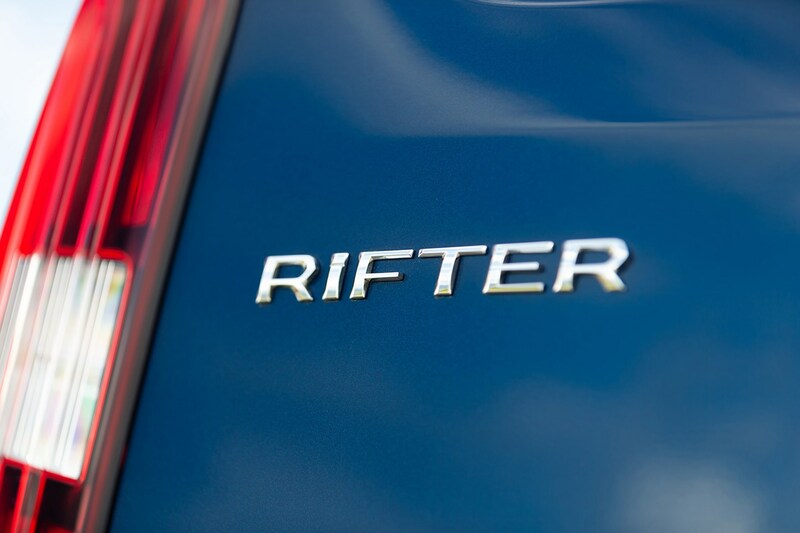 This is where the Rifter earns its stripes. 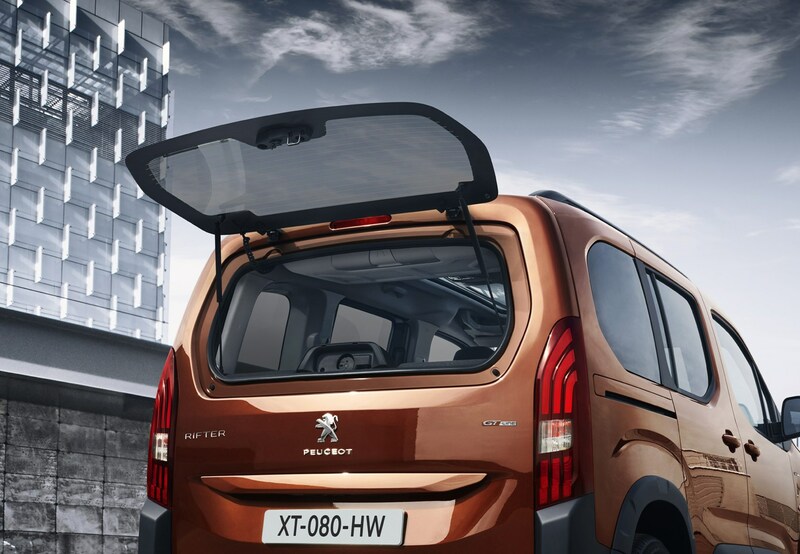 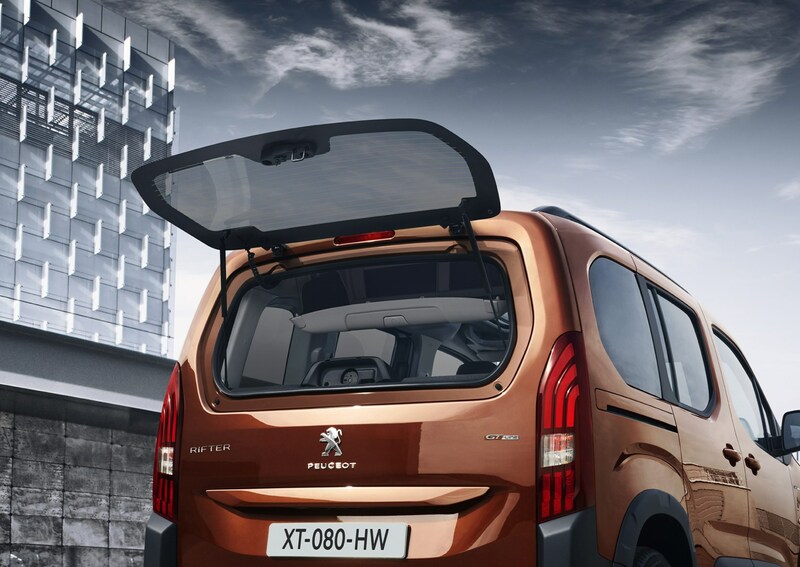 It’s purpose is to pack as much practicality into its body as possible, and Peugeot has delivered. 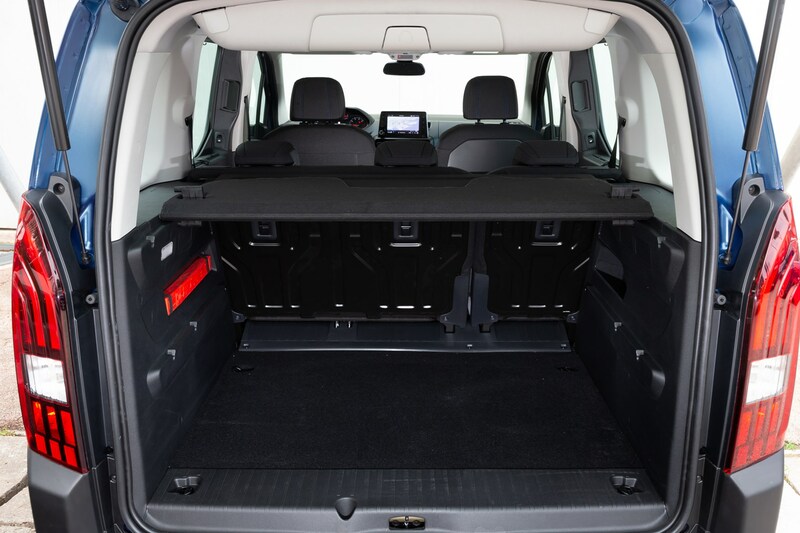 The Rifter comes in two body lengths – Standard and Long – the latter of which adds an extra 35cm to the rear overhang, meaning more room for the third row of seats or an even more gargantuan boot (full sizes can be found in the Practicality section of this review). 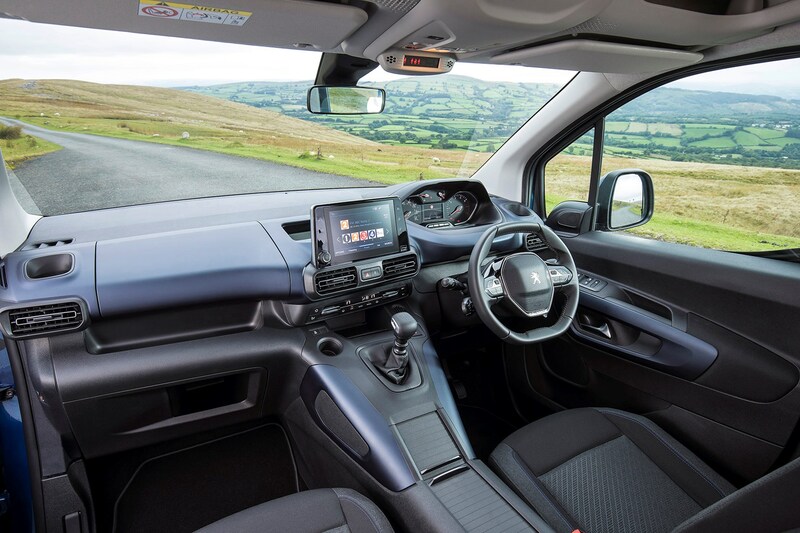 Inside, the Rifter is packed with various storage areas as you would expect, with genuine room for seven on board the longer models. 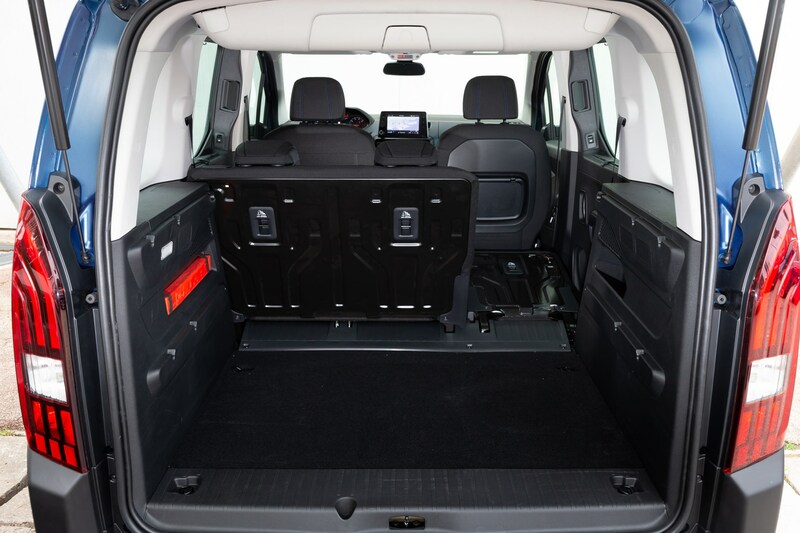 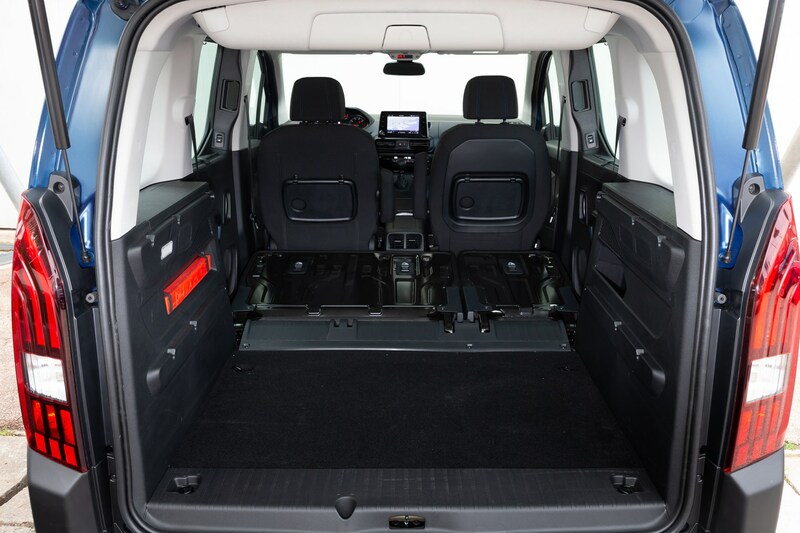 It’s easy to get in and out of thanks to sliding rear doors, that higher ride height and seats that fold flat, and you’re able to configure the car in pretty much any way you like, freeing up as much space as you’d find in a commercial vehicle should you need to. 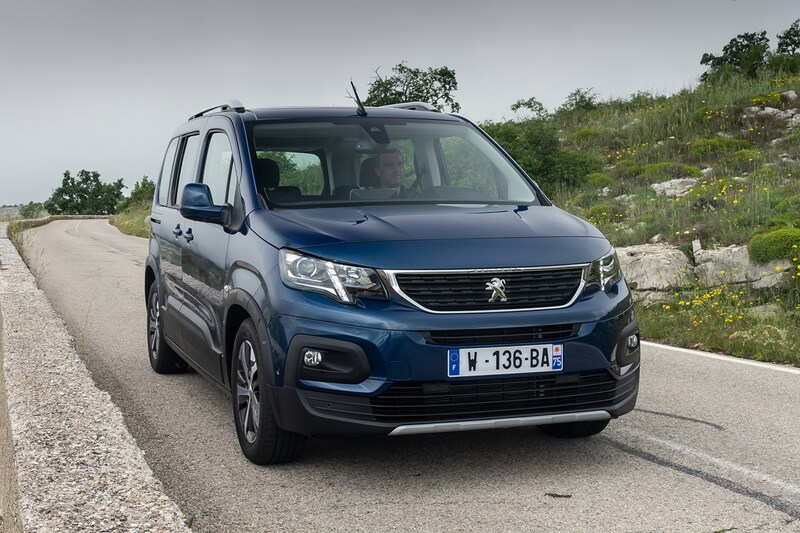 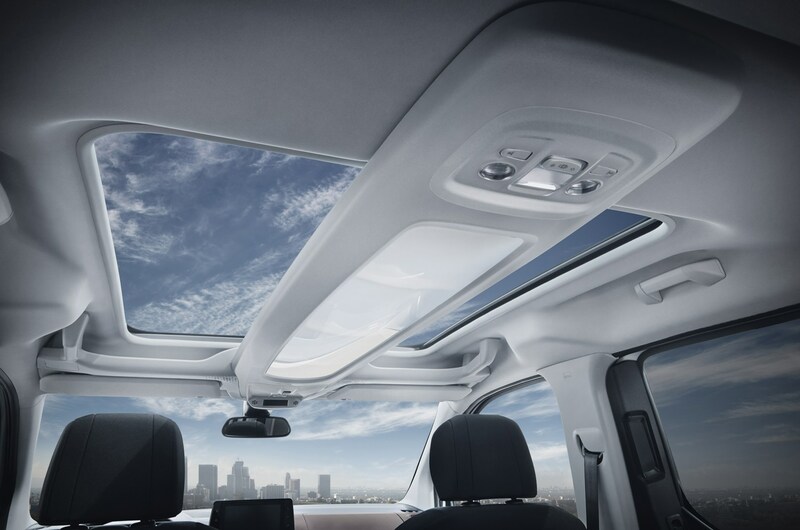 Features such as three Isofix points across the middle row of seats will be of particular interest to families, as will a large glass roof with storage area running the length of the cabin at the roof. 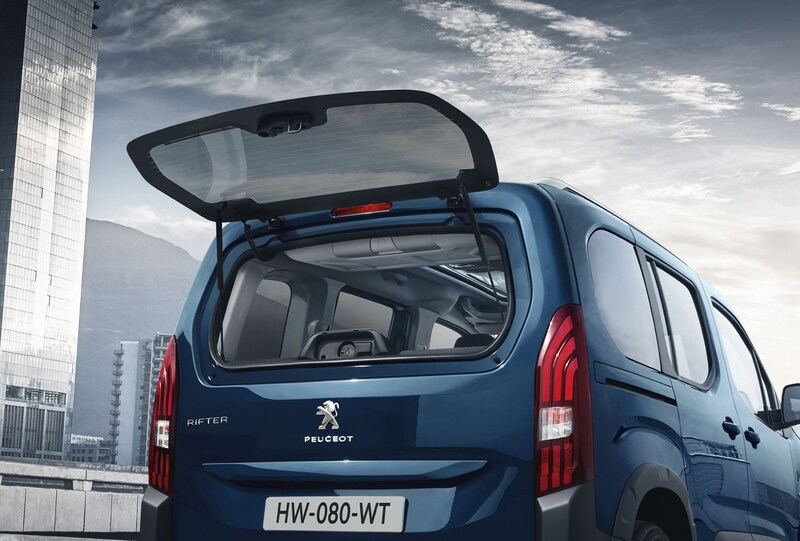 According to Peugeot, there are 28 storage areas inside the cabin accumulating up to 186 litres of storage space - that's more than the 108 city car's boot space when optioned with a spare wheel. 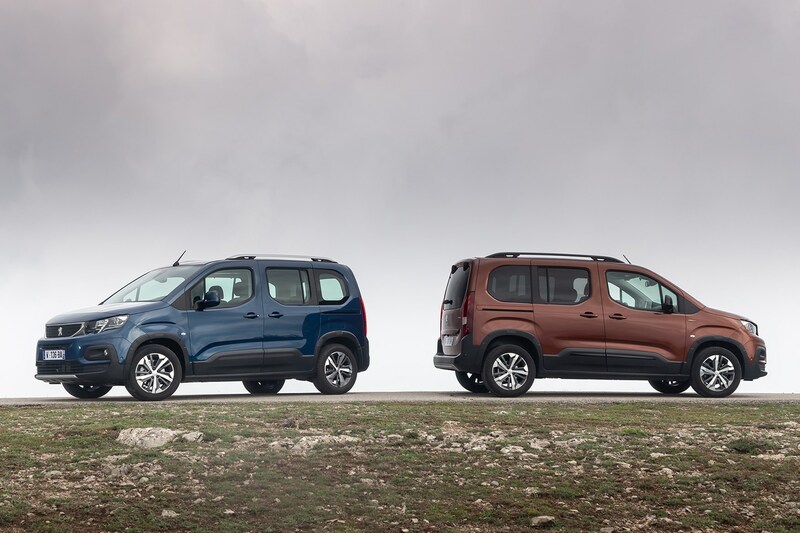 As with its Citroen and Vauxhall cousins, the Rifter scored a respectable four-star crash test rating from Euro NCAP in 2018. 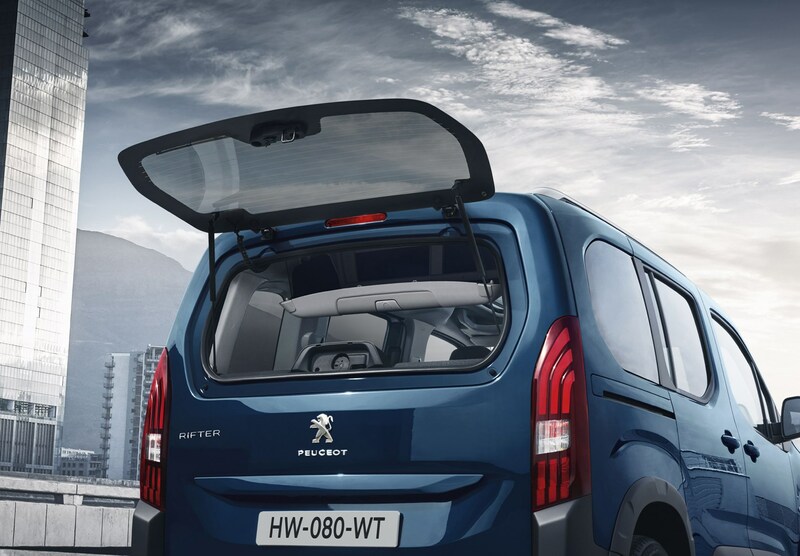 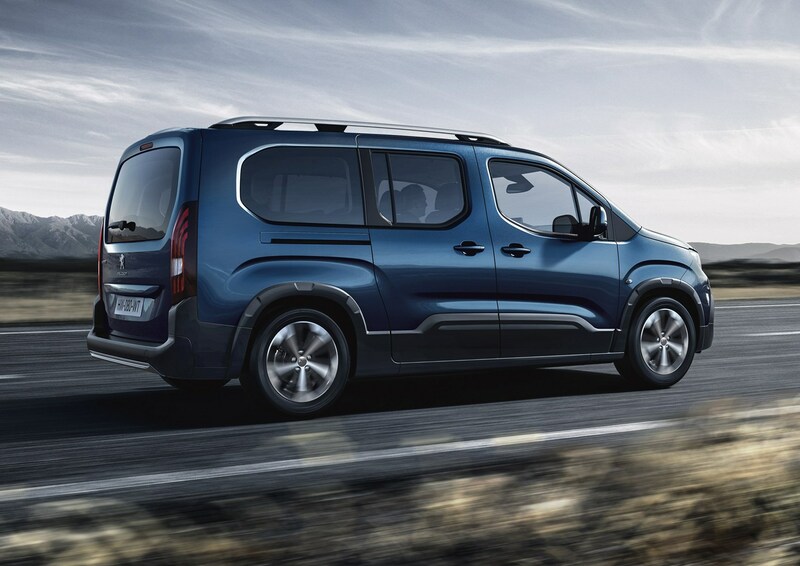 In the seven-seat Long version with all six passenger seats folded flat, there's up to 4,000 litres of room on offer. 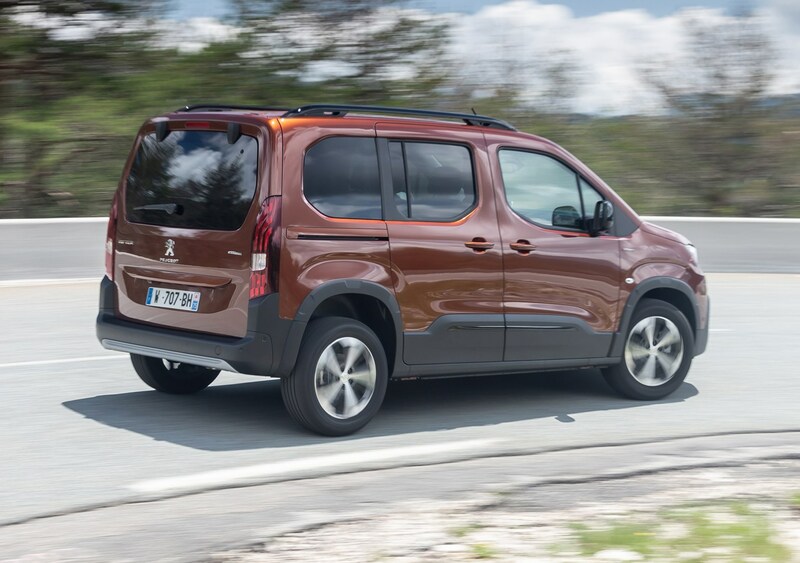 If you’re not fussed about the image you’re portraying to your neighbours and your priority is outright practicality from your family car, you could do a lot worse than the Peugeot Rifter. 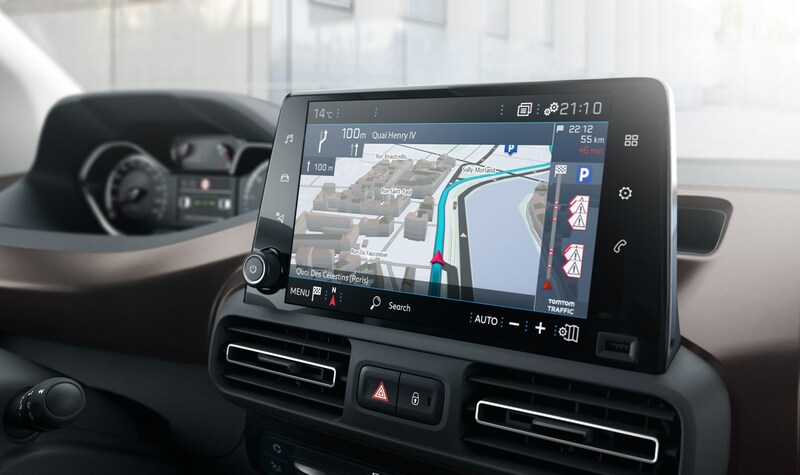 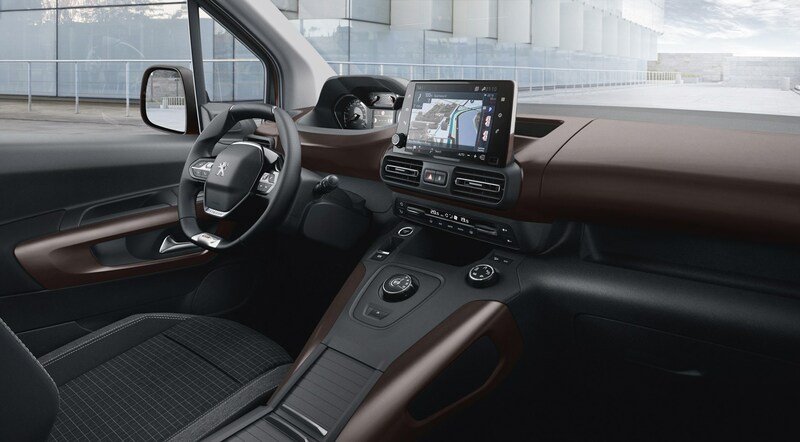 The cabin is bright and airy with some nice touches found on Peugeot's car range such as the i-Cockpit set-up, the higher-output engines are punchy yet refined and it comes with a generous amount of standard equipment. 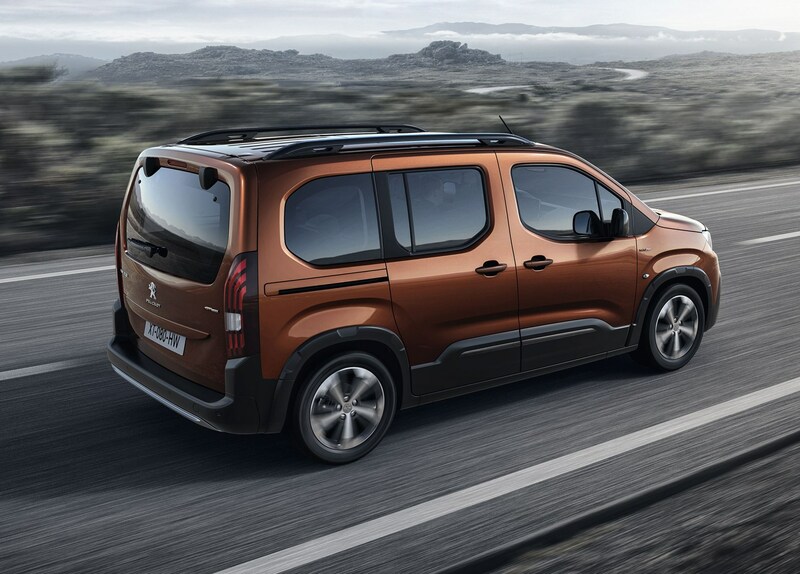 Higher-spec models are pricey and in SUV territory, so you’ll need to ask yourself what you value more: value or style.